If you haven’t seen how a true portable solar oven in the wilderness works, you simply have to get the Go Sun Go. 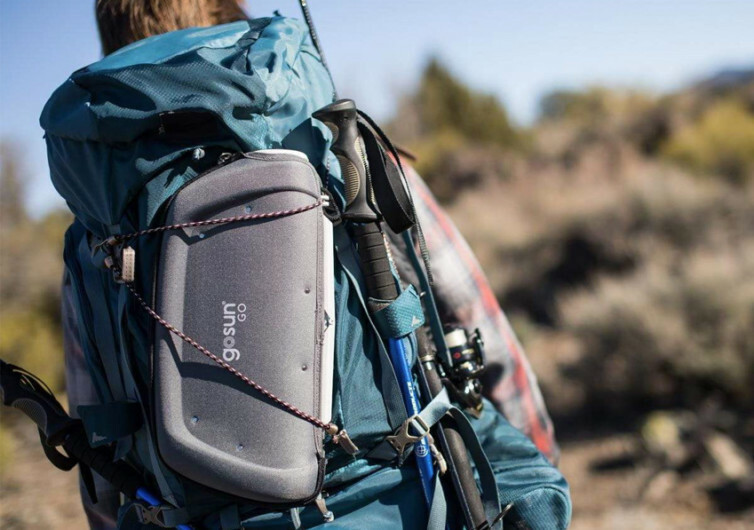 It’s the kind of gear that helps simplify the process of cooking really delectable meals without the dangers of butane canisters and other bulky stuff that can only weigh you down on your way to the top of the mountain. 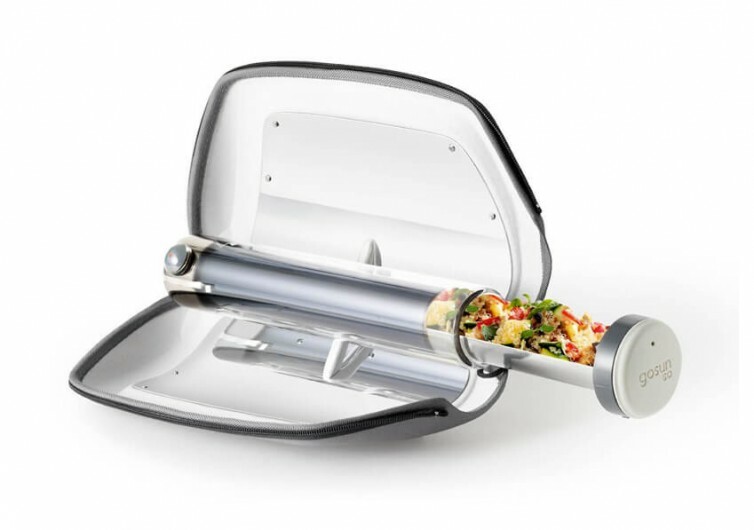 It may only come with a 13.5-ounce canister that actually serves as the system’s cookware, the GoSun Go nevertheless cooks your meals in as little as 20 to 30 minutes. There is no need to wait for you to start a fire. 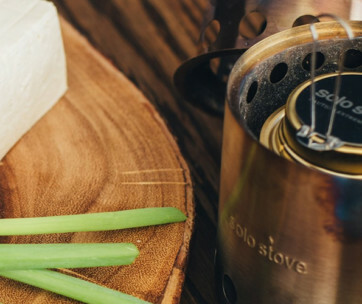 You don’t even have to set up your camp stove and portable fuel system. 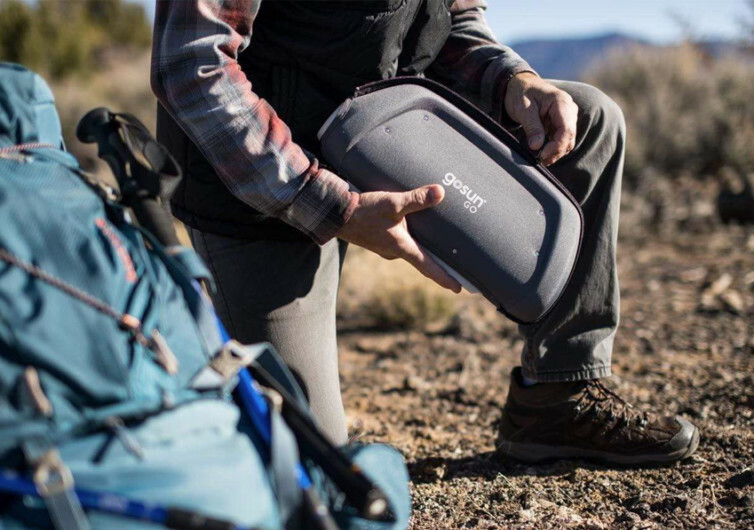 All you need is to unzip the hard shell EVA foam case of the 2-pound Go and you’ve got for yourself a kitchen that is more than worthy of passing Gordon’s hawk-eye evaluations. 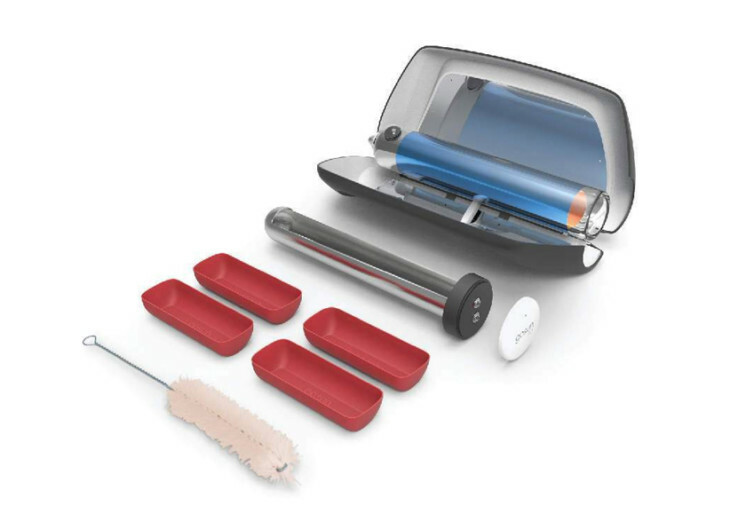 Opening the GoSun Go exposes two reflector panels that are specially engineered to help heat up the solar vacuum tube. This can help you boil water in as little as 40 minutes, reaching a maximum temperature of 550-degrees Fahrenheit. Bake a tubular cake or come up with a really appetizing delight while you’re basking in the scenery. 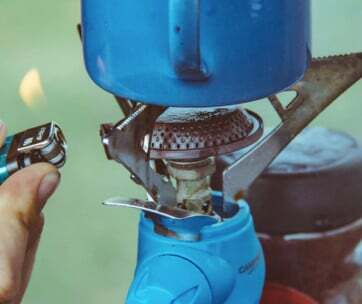 Make a fabulous hot cup of coffee that you can proudly say to your friends you did without ever using a stove, relying only on the power of the sun. They’ll never believe you since they haven’t personally been introduced to the Go yet. 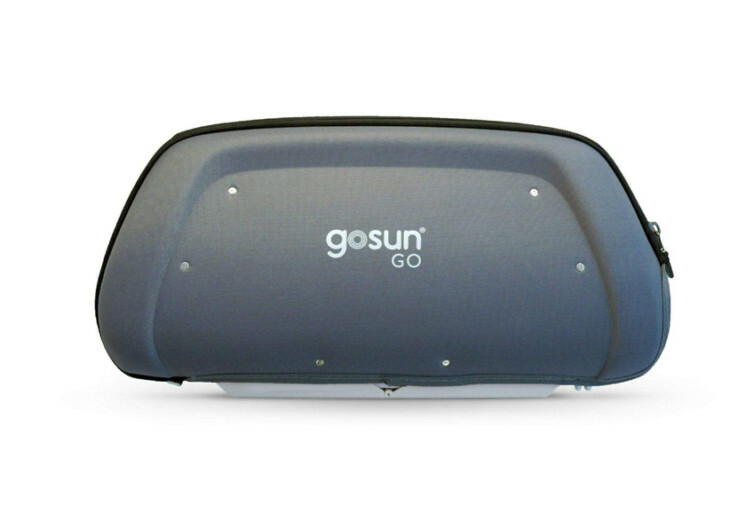 The beauty of the GoSun Go is in its otherwise simplistic yet fully functional design. One can only imagine the challenges of coming up with delicious meals having trekked all day long. 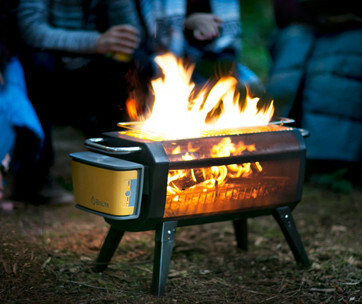 GoSun Go promises to deliver you from the clutches of bulky and dangerous camp stoves.